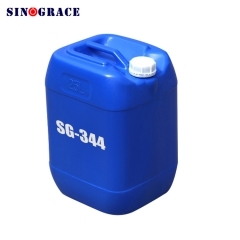 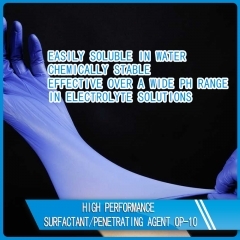 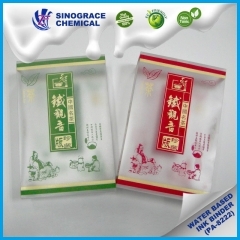 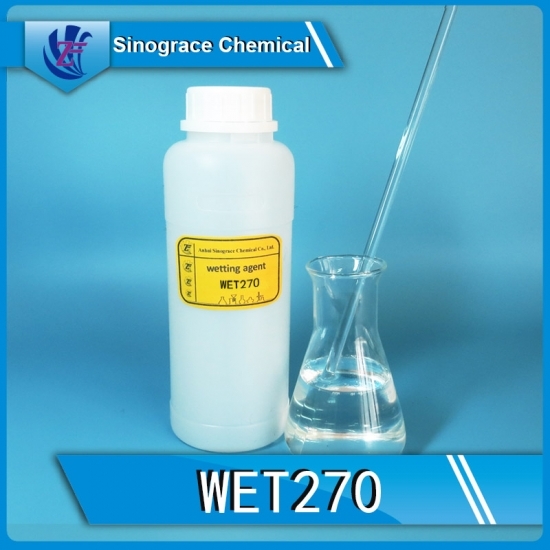 Buy Low foaming organic silicone wetting agent WET-270,suppliers,manufacturers,factories-Anhui Sinograce Chemical Co.,Ltd. 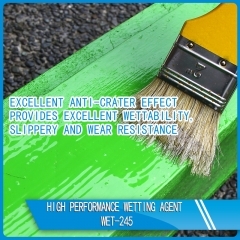 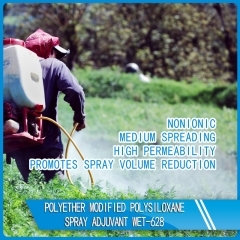 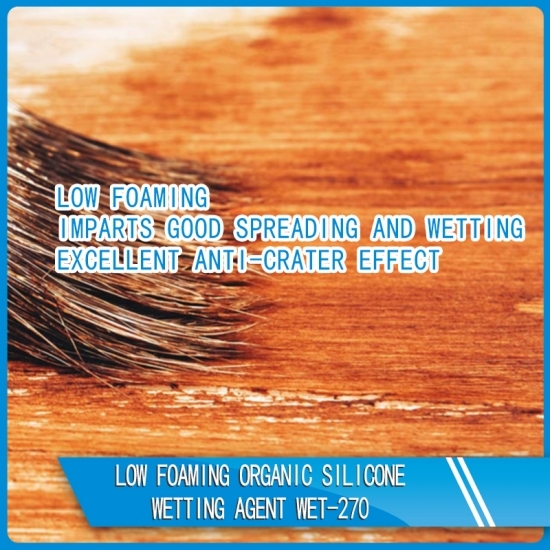 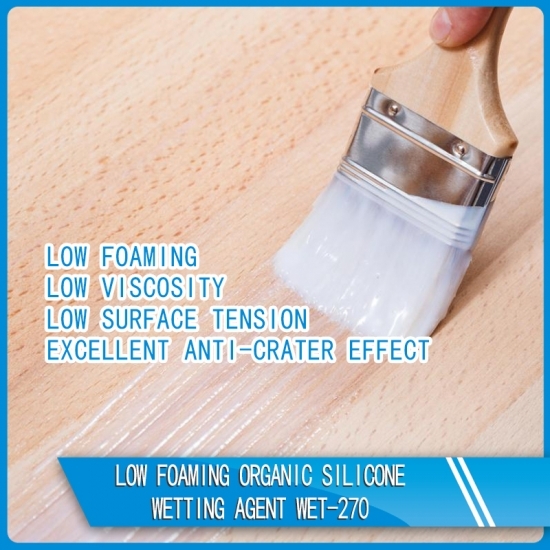 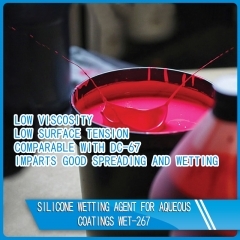 Low foaming organic silicone wetting agent WET-270 is a low foaming silicone wetting agent with low viscosity and low surface tension. 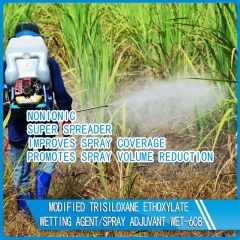 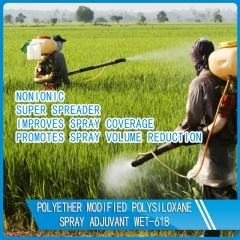 Imparts good spreading and wetting properties. 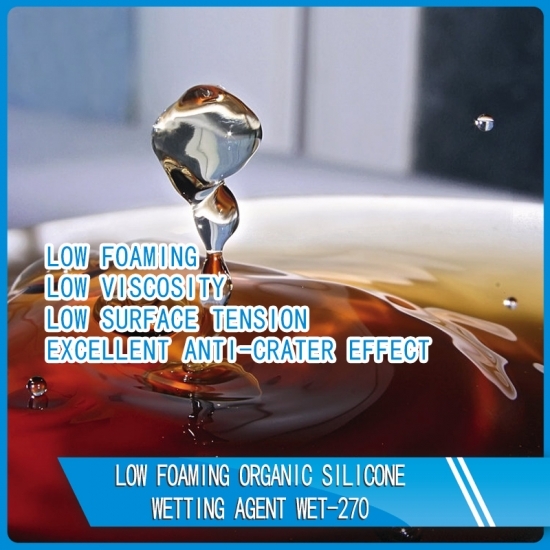 Excellent anti-crater effect with flow promotion in water based, solvent based and radiation-curing formulations.